Just got this neat little Arduino Yun in the mail. Unlike other arduino versions, the Yun has WiFi capability. I’ve been tinkering with it today: Turned the Yun into a WiFi hotspot and added a sketch that allows commands to be sent to the arduino via url addresses. Lots of possibilities... I’ll have to think of something interesting to do with it. 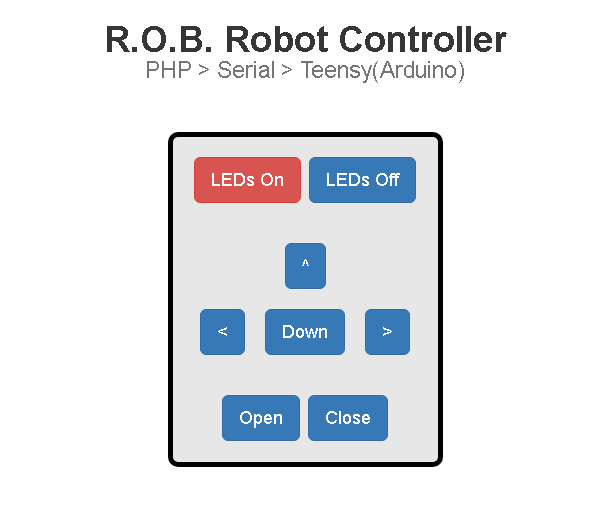 A fun two day project: I hacked an old Nintendo NES R.O.B Robot to be controllable from a PC via a webpage. 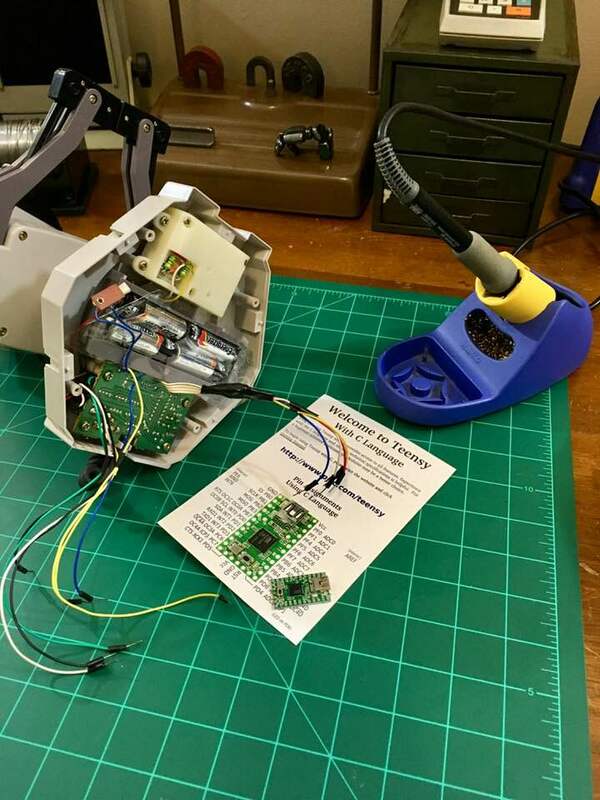 I used a Teensy micro-controller soldered to the robot's original circuit board and a bit of code to interpret serial input. Then I made a PHP file that sends serial data to the Teensy's port, and finally I applied a little Bootstrap to make the interface pretty.